Industry veteran brings 25+ years’ experience in fast-paced health IT success. Tom is passionate about improving healthcare delivery through technology and has a clear vision for equipping Wellcentive to expand its leadership in population health management. Wellcentive announced today that veteran health IT executive and former Elsevier Chief Customer Officer Tom Zajac has joined the company as Chief Executive Officer and appointed board member, effective October 8, 2013. Zajac brings with him more than 25 years’ experience in piloting health IT companies through initial public offerings, rapid growth and industry-leading customer satisfaction – critical leadership capabilities as customer adoption continues to accelerate for Wellcentive’s population health management solution. Since it’s founding in 2005, Wellcentive has established a leadership position in healthcare outcomes management and data analytics with Wellcentive Advance™. The solution is used by over 7 thousand providers, covering 13 million patients throughout the United States, enabling healthcare organizations to proactively manage the widespread transition from fee-for-service to value-based reimbursement models such as Accountable Care (ACO), Patient Centered Medical Homes (PCMH), and Pay for Performance (P4P), and the accompanying shift of financial and outcome risk for patient populations from payers to providers. “Tom is a highly experienced and growth focused leader, and brings significant industry and domain expertise, business acumen and commitment to delivering customer value,” said Allen Moseley, Wellcentive Investor and General Partner of Noro-Moseley Partners. “Tom is passionate about improving healthcare delivery through technology and has a clear vision for equipping Wellcentive to expand its leadership in population health management,” said Robert Crutchfield, Wellcentive Chairman of the Board and Partner at Harbert Management Corporation. Zajac most recently served as Chief Customer Officer of Elsevier, the world-leading provider of scientific, technical and medical information products and services, with responsibility for more than 3,000 healthcare customers. 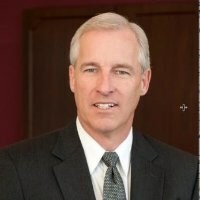 Tom joined Elsevier in 2011 as President and CEO of Elsevier|MEDai, a leading provider of predictive analytics and clinical solutions for payers and providers. He was formerly President and CEO of CareScience, spending eight years building the company into one of the leading providers of quality improvement, regulatory reporting, HIE data exchange, and transformational services. Prior to CareScience, he spent eleven years building Transition Systems’ (TSI) success as the leader in healthcare decision support, with 1200 US and international provider and payer customers. TSI was acquired by Eclipsys, where Tom established and became President of the Business Solutions Division, providing advisory and transformation consulting to customers across its spectrum of products. Thousands of providers and their organizations use Wellcentive solutions to deliver high-quality, cost-effective care for many millions of patients. Wellcentive’s leading-edge interfacing platform has approximately 2,000 live interfaces with a wide variety of local and national interfacing partners. Wellcentive’s clients include some of the most prestigious physician groups, physician organizations, health information exchanges, professional organizations and employer groups in the country. Wellcentive is a venture-backed organization with Noro-Moseley Partners and Harbert Management Corporation as the venture capital firms.